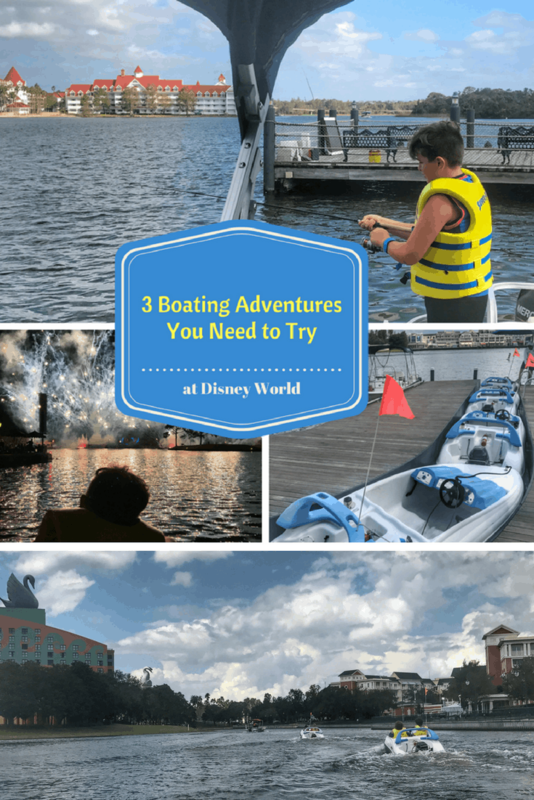 I honestly never thought that boating + Disney would have gone together, but we discovered that Walt Disney World can make pretty much anything magical and even better on the water. We were invited by RBFF to help bring awareness to how fun boating and fishing can be. 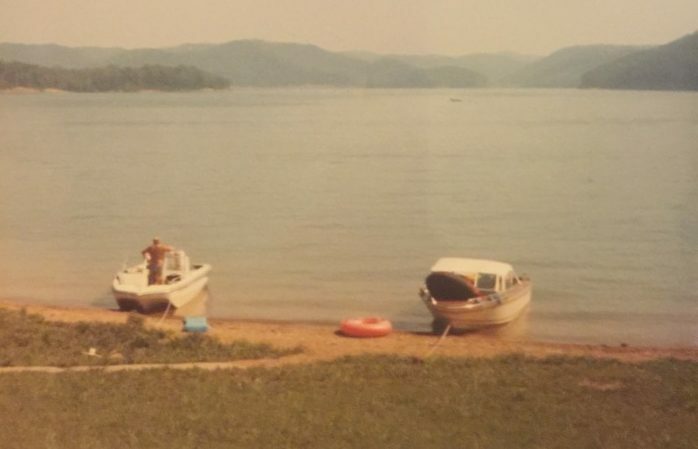 Some of my favorite memories growing up were from my times on my parent’s boat with family and friends at various lakes over the years. If you aren’t ready to own a boat, I highly recommend renting one for the day. I still treasure this footage from a day that we decided to spontaneously rent a pontoon boat with a jumping platform and slide at Cave Run Lake. The memories that we created that day with my kids and my dad are priceless. RBFF is a non-profit organization whose mission is to increase participation in recreational angling and boating. Getting people excited about these hobbies increases the sale of fishing licenses and boat registrations, which has a direct, positive effect on our nation’s ability to protect and restore our aquatic resources. 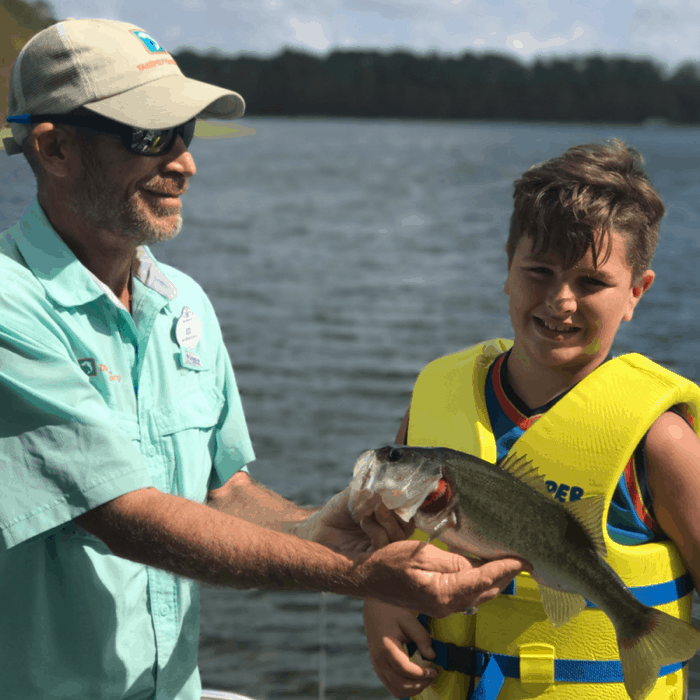 The guided fishing excursions at Walt Disney World® Resort presented by RBFF’s Take Me Fishing™ initiative are just one example of how they have worked together to help increase fishing and boating participation among youth and families. Once you watch the fireworks from a boat it’s really hard to go back. 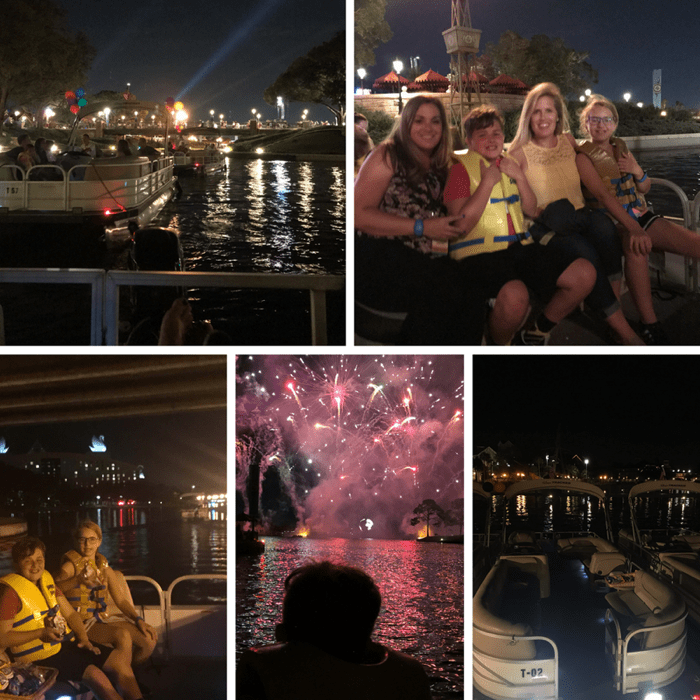 A private fireworks cruise on a pontoon boat is a great way to celebrate a special occasion or just make your visit to Walt Disney World even more magical. 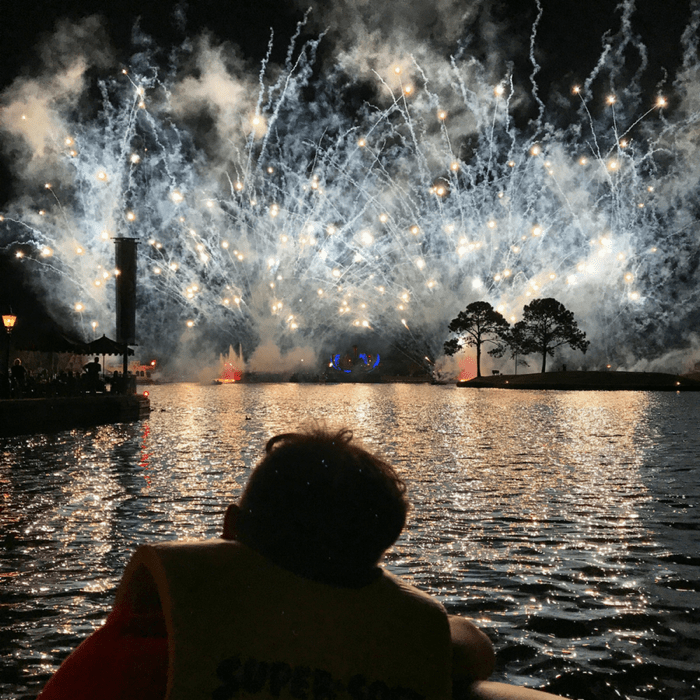 We enjoyed hanging out on the boat with snacks and when the Epcot IllumiNations fireworks started, we had the best spot to view them from. It was so nice to avoid the crowds and experience a fantastic view in comfort. I’m pretty sure that my son is going to watch fireworks by boat from now on. At Disney, we went on a catch and release guided fishing excursion with our guide, Eddie, from Take Me Fishing. He did a great job of educating us and encouraging us to get out of our comfort zones a bit. I pushed myself to learn how to bait the hook with Eddie’s coaching AND hold the fish after I caught him….I was just happy that I caught one. The first catch of the day is always exciting and such a confidence booster. My son caught a few fish too but wasn’t quite ready to hold it. Looks like we need to go fishing a little more often when we get home. My niece had no problem at all because she goes fishing with her dad pretty often in Michigan. She and her mom also caught the most fish out of our group that day. This adventure was definitely the favorite of everyone in our group. 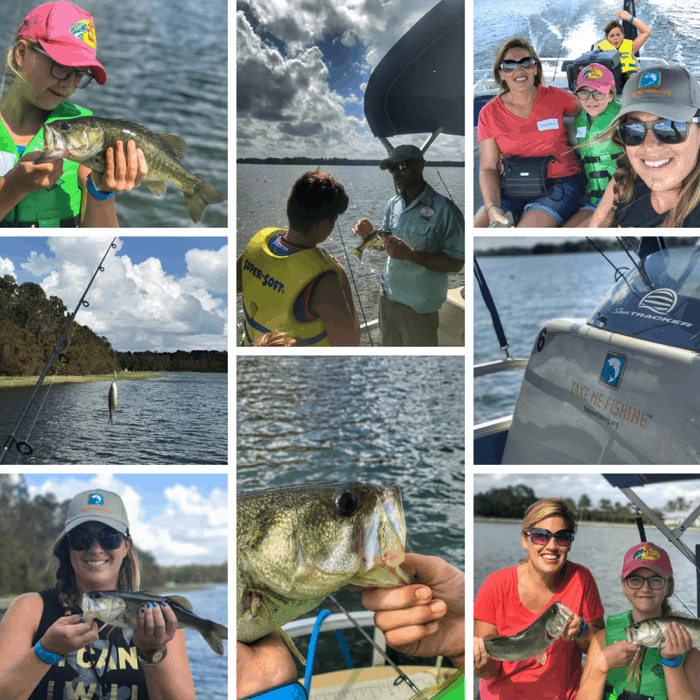 We really enjoyed the time on the water connecting with nature and of course fishing bragging rights. 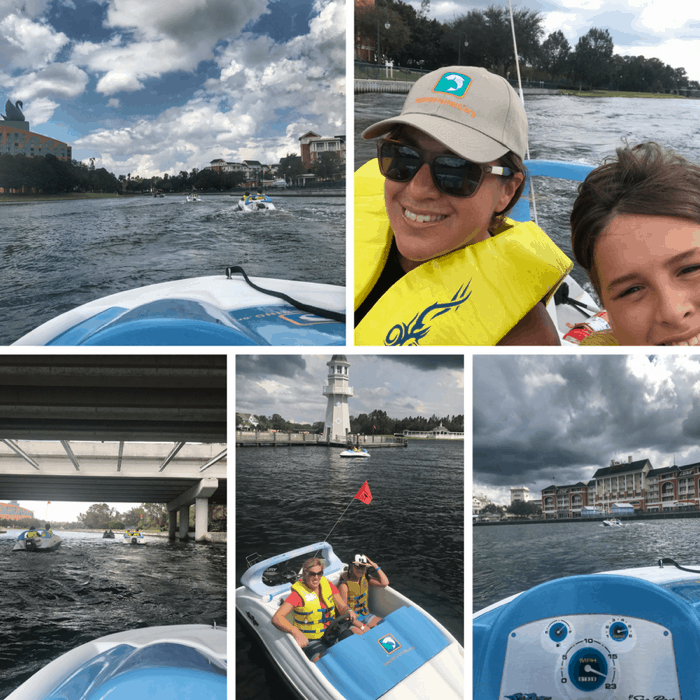 The Sea Raycer mini speedboats are a really fun way to explore the area. Kids ages 12 and up can even try their hand at driving a mini speedboat. Unfortunately, my son and his cousin were 11, so they were in charge of taking pictures instead of driving. 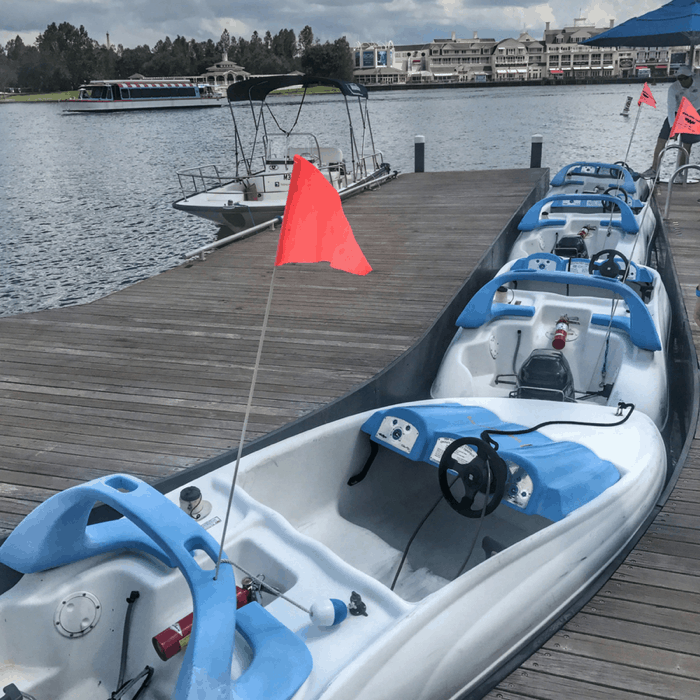 You can rent the Sea Raycer boats from two different locations at Walt Disney World. The ones at our location are regulated at 7 mph. Also, make sure that your hat in on tight or you might experience the kindness of fellow boaters who pull it out of the water. 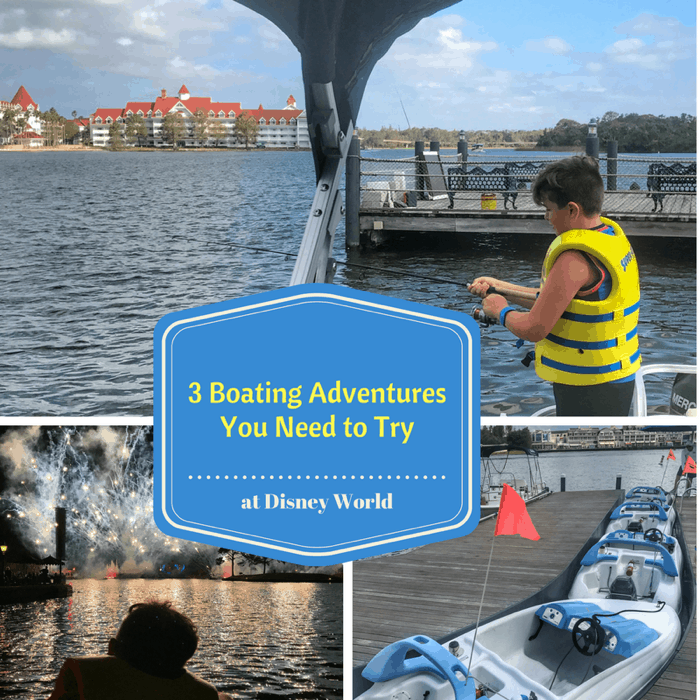 Walt Disney World offers three great boating adventures that allow families to make fun memories together and give you a taste for how fun boating and fishing are. Kids who start fishing as a child are more likely to continue as an adult. Fishing and boating help create fun and quality family time. I also learned that fishing licenses go directly back into water conservation which means that the more people enjoy the sport for their lifetime, the more progress can be made with preserving nature for generations to come. Whether it’s your first time on a boat or one of many, hopefully, your time spent boating or fishing will spark you to continue making memories with your loved ones on the water when you go back home. 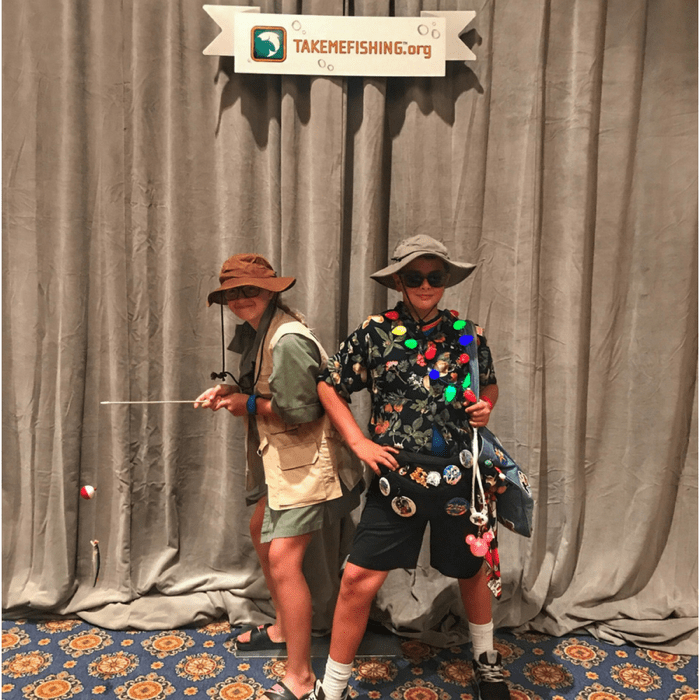 Check out TakeMeFishing.org as your one-stop resource to learn how to fish and where to fish or boat for your next boating or fishing adventure. Make sure that you follow @take_me_fishing for inspiration and share your fishing adventures using the hashtag #FirstCatch. Thanks again to RBFF for hosting our visit. All opinions are my own.